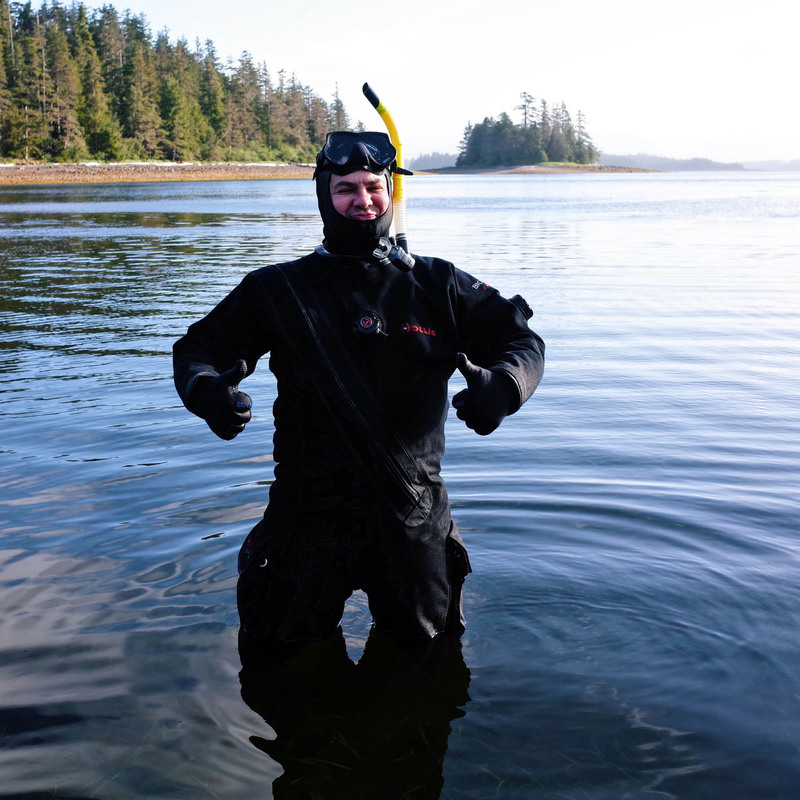 Dr. Eckert is a marine ecologist who likes to think broadly about marine ecosystems. 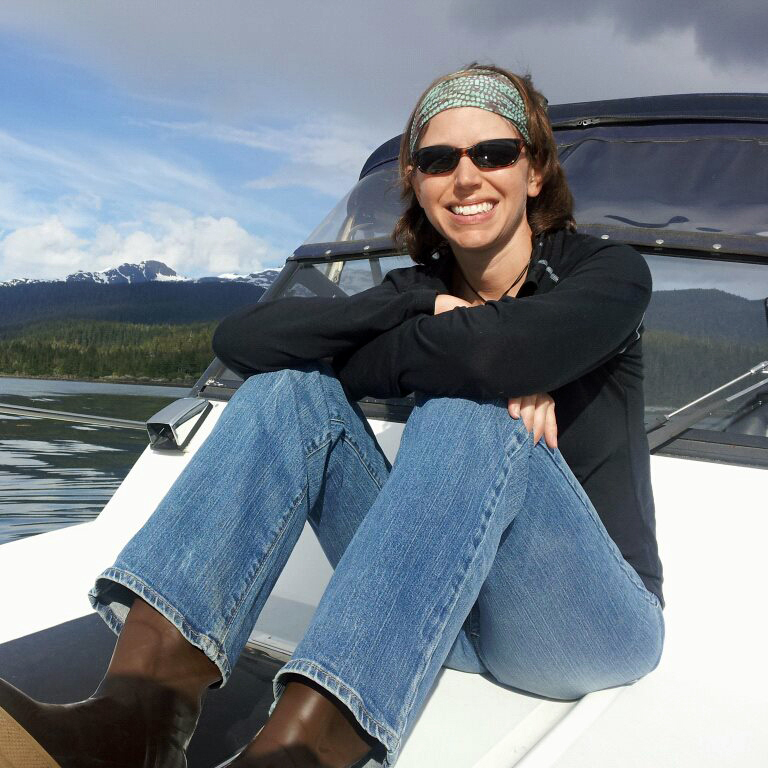 She has a background in marine invertebrate ecology and came to Alaska to study shellfish and fishery sustainability. To inspire the next generation of researchers to think about real-world questions similar to the way she looks at her own research questions, Eckert helped develop and led the Marine Ecosystem Sustainability in the Arctic and Subarctic program. 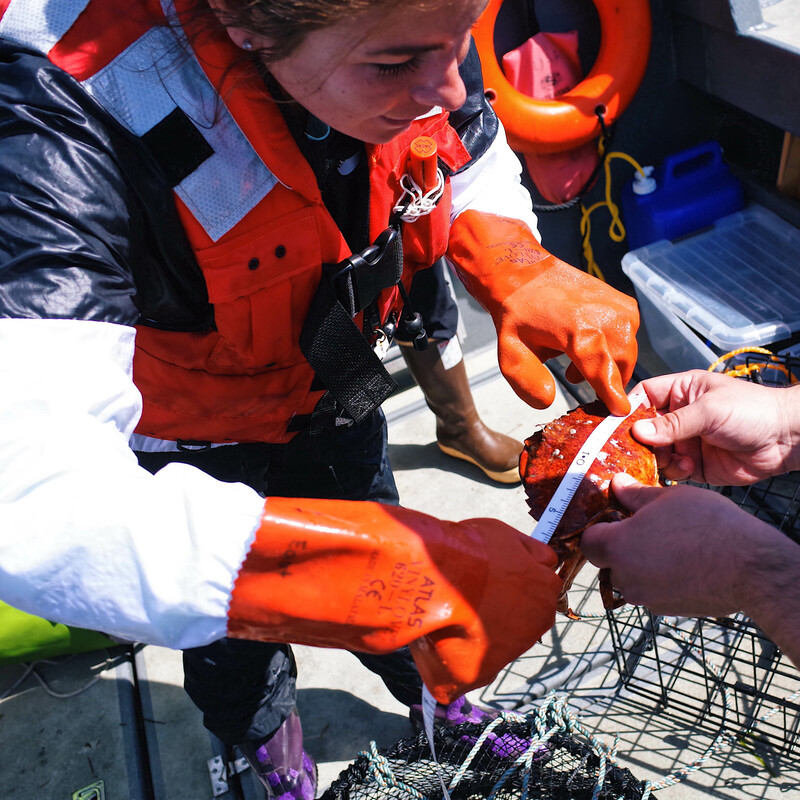 The interdisciplinary graduate program has given 31 students the opportunity to look at complex marine problems from a variety of perspectives and work with real people to address real problems. She leads the APECS research program, which examines the recovery of sea otters in Southeast Alaska to understand their beneficial ecological role in coastal ecosystems, while simultaneously evaluating their interactions with people who depend on coastal resources for their livelihood. Dr. Pearson’s background is in marine mammal behavioral ecology. She first studied sea otters in Prince William Sound, AK for her Master’s research. 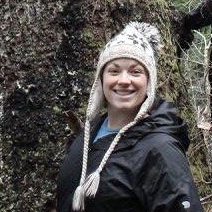 During the past few years, Heidi and her students studied sea otters in Sitka Sound, AK. Recently, her research has focused on understanding how marine mammals contribute to “blue carbon”, the quantification of carbon in the ocean, which has implications for climate change. Heidi leads the APECS project to examine the growth of kelp forests with respect to sea otter recolonization, and sea otter foraging ecology. She is excited for the opportunity to work with an interdisciplinary team of scientists to understand how sea otters have shaped coastal ecosystems and communities through the APECS project. For more information about all of Heidi’s work, visit her website. 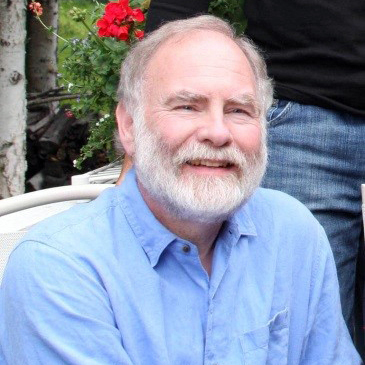 Dr. Langdon is a cultural anthropologist who has conducted research throughout Alaska specializing in work in southeast Alaska with Tlingit and Haida since 1973. 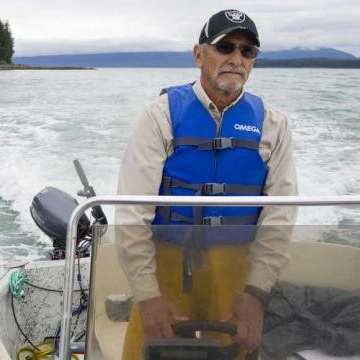 His research has included work on traditional and contemporary subsistence practices, traditional ecological knowledge, traditional fishing technologies, ethnohistory, and impacts of public policy on Native villages. 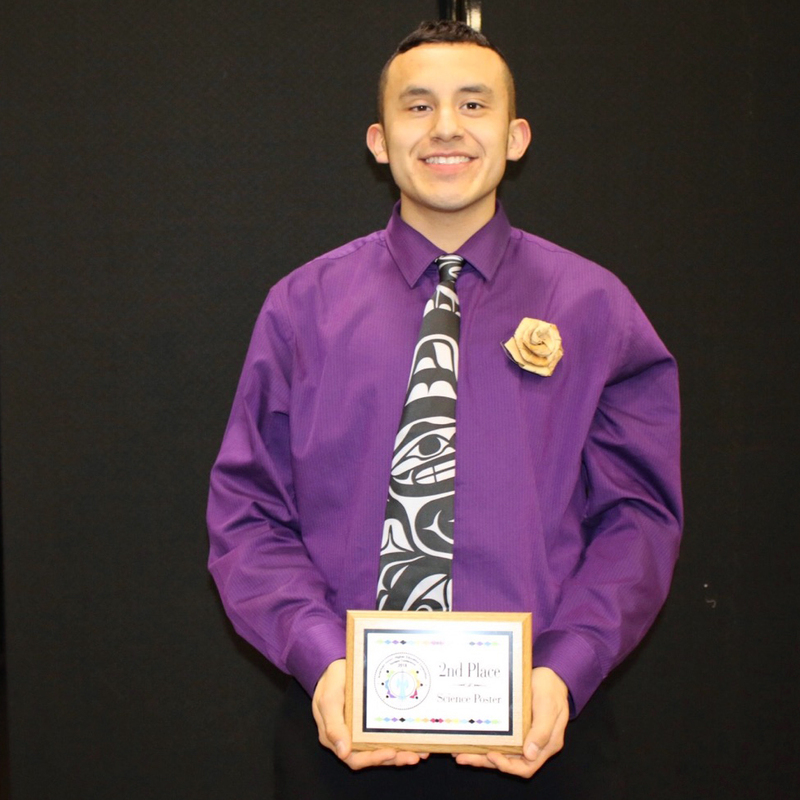 His responsibilities for the APECS project include documenting local knowledge concerning sea otter presence and their impacts on village subsistence resources. This is being conducted through expert interviews, mapping of subsistence areas and site visits to assess impacts. In addition, he is also involved in the identification of the valuation of the impacts of sea otter presence on village economies. Dr. Langdon is interested in identifying the impacts of sea otters empirically, documenting village views and responses to the sea otter presence and assisting in the evaluation of policy options to help protect village subsistence resources for future users. Dr. Stekoll has over 30 years of research experience on seaweeds, including investigating the ecologies of Fucus and floating kelp communities, the effects of the Exxon Valdez oil spill on intertidal and subtidal seaweeds, the geographical distribution of subtidal kelps off western South Africa, and the mariculture of several species of nori and kelps. 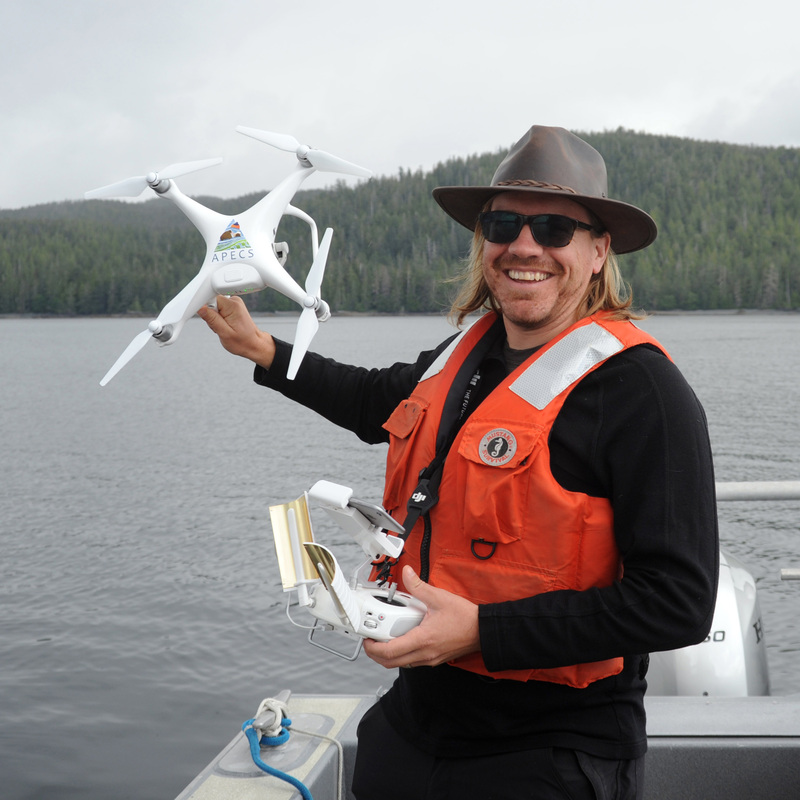 He also has experience in the remote mapping of floating kelp beds using an aerial digital multispectral imaging system. For APECS, he is involved with the mapping of floating kelp beds. Mike’s interest in this project is to learn more about the effects of sea otters on kelp communities and to learn more about using remote sensing to map kelp beds. 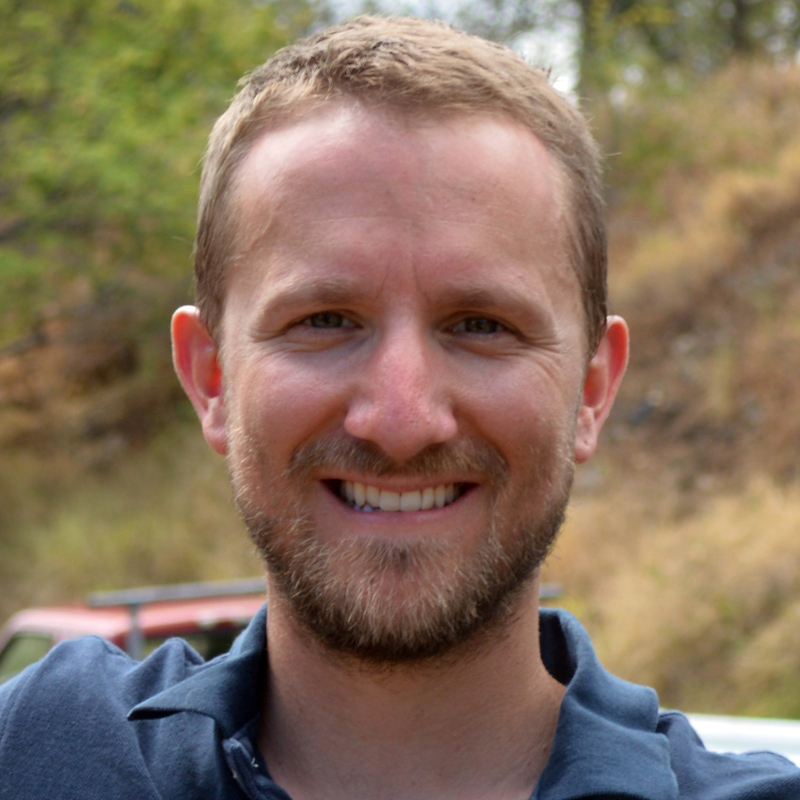 Dr. Vander Naald’s research agenda involves estimating non-market values for ecosystem goods and services using both revealed and stated preference data. His most recent work in Southeast Alaska uses stated preference data to estimate values for glaciers and long-term ecological monitoring programs. His role in the APECS project is to estimate the change in ecosystem service values resulting from the reintroduction of sea otters. 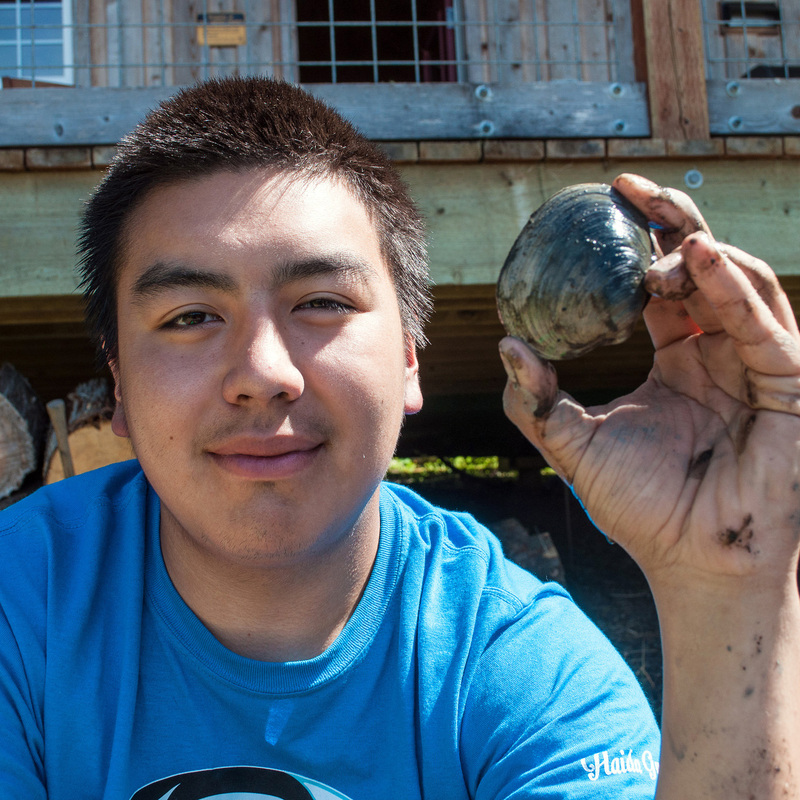 In addition to being academically interesting, this project allows him to indulge his innate curiosity about how different user groups (for example, subsistence and commercial fishermen) interact in a unique ecosystem. 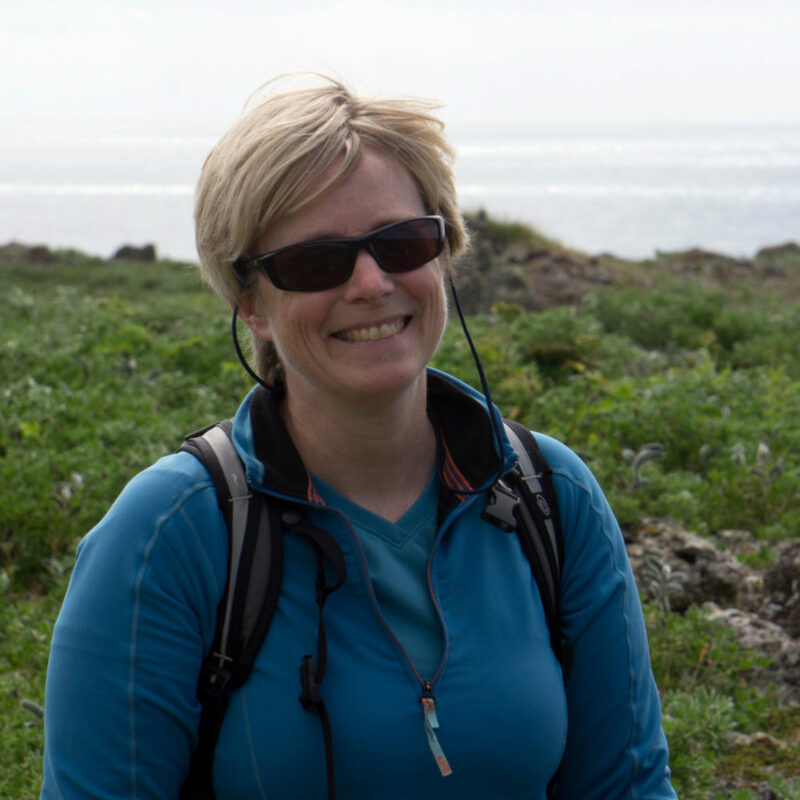 Dr. Bell brings years of experience in satellite mapping of giant kelp in California, Mexico, Chile, and Tasmania and is applying this expertise to study changes in kelp canopy and seagrass extent over time as sea otters colonize Southeast Alaska. He uses aerial and satellite imagery that is validated with field surveys to explore the regional impacts of sea otter colonization on kelp canopy and seagrass dynamics. For more information about all of Tom’s work visit his website. Dr. Hughes first documented the trophic interactions of sea otters in seagrass in Elkhorn Slough, California. His main role on the APECS project is to provide expertise related to seagrass and sea otters and mentorship for graduate students. In general, he is fascinated with researching the role of predator recovery on vegetated coastal habitats. Sea otters are the ideal model predator to test ecological theory while also informing management and conservation. For more information about all of Brent’s work visit his website. Dr. Stephens has a background in marine benthic ecology and aspires to elucidate how the physiology of individual species or communities underpins ecological processes. As such, she is interested in both bottom-up and top-down processes with context to primary productivity. 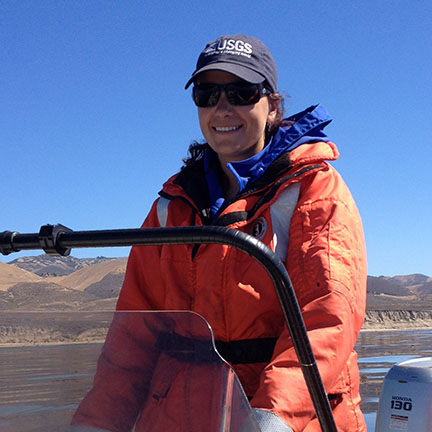 As a member of APECS, she serves as project coordinator and leads studies of nutrient cycling and carbon sequestration of seagrass communities through the lens of potential sea otter trophic cascades and environmental change. In general, she enjoys interdisciplinary research, particularly when it can be used to highlight ecosystem services to better inform stewardship practices and coastal management. For more information about all of Tiff’s work visit her website. Ashley is studying the changes in intertidal subsistence resources, particularly black katy chitons, across the gradient of sea otter and human harvest on Prince of Wales. 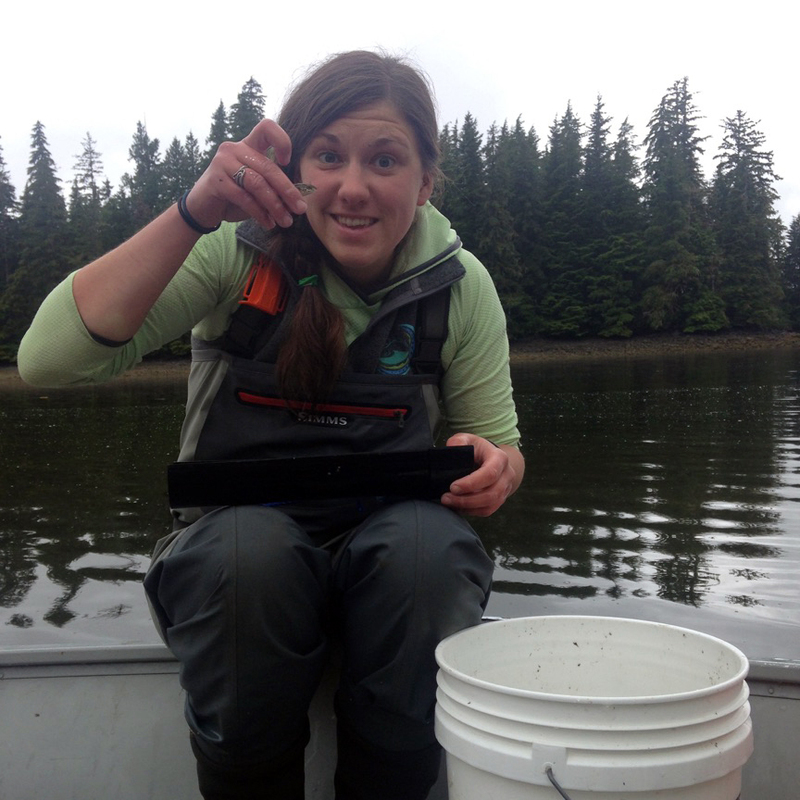 Ashley spent years exploring the tidepools of Sitka in her research and teaching endeavors before graduate school. She is enthusiastic about the broad spectrum of work slated for the APECS project and diversity of people involved, from staff to community harvesters and collaborators. Sonia’s background focused on the ecology of temperate and tropical coastal ecosystems through the lens of a research diver. As a Ph.D. student in the Fisheries program at UAF, she took a drastic turn in her education, training, and research interests. Her research aims to understand both the human and ecological side of subsistence fisheries in tribal communities where access to customary and traditional foods is crucial to community health. On a personal level, Sonia is trying to learn as much as she can about local foods and medicines so that she can integrate a healthier lifestyle and nutritional base into her everyday • life. Spending time and conducting research in rural communities where local tribal members have maintained their connection to the environment since time immemorial has provided her with many opportunities to learn how to gather, process, and preserve local foods and medicines. Nicole is studying the impact of sea otters on Prince of Wales marine ecosystems by collecting visual observations while they forage across the study area. She comes to the APECS project from a sea otter ecology background. Nicole has worked on multiple ecosystem-based ecology projects in California and values the APECS project due to its broad scale impacts and reach, from the seagrass, grazers, predators, and humans that all depend on the nearshore marine environment. Wendel is investigating food web dynamics in seagrass communities, with a focus on the role of sea otters, as well as documenting spatial and temporal patterns of sea otter hunting. 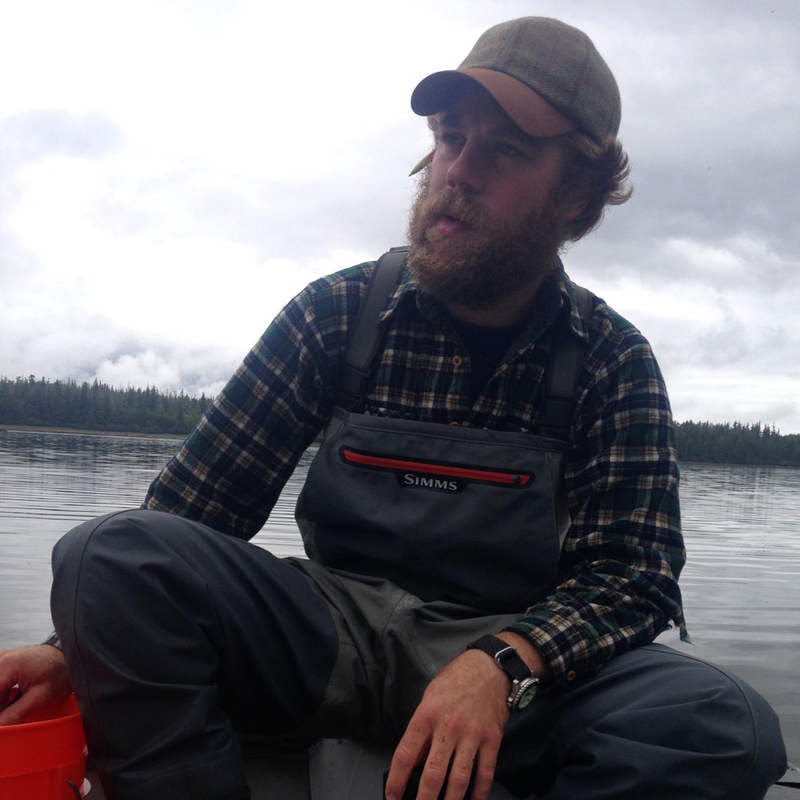 Before starting graduate school at UAF, Wendel worked on a variety of marine ecology projects in the Bahamas, and Washington State. Wendel’s main interest is to identify the mechanisms that drive patterns of abundance and diversity in marine ecosystems. Melanie is an undergraduate at the University of New Mexico working towards a Bachelors of Science in Biology. She just completed a year of exchange work at the University of Alaska Southeast where she was introduced to the APECS team. This summer she is assessing predation pressure in eelgrass beds using squidpops. After the field season, she will be attending the University of Tasmania in Hobart, Australia. She is excited to learn a lot while on Prince of Wales. Sydney is an undergraduate student from Wisconsin studying Animal Biology and Environmental Sciences. 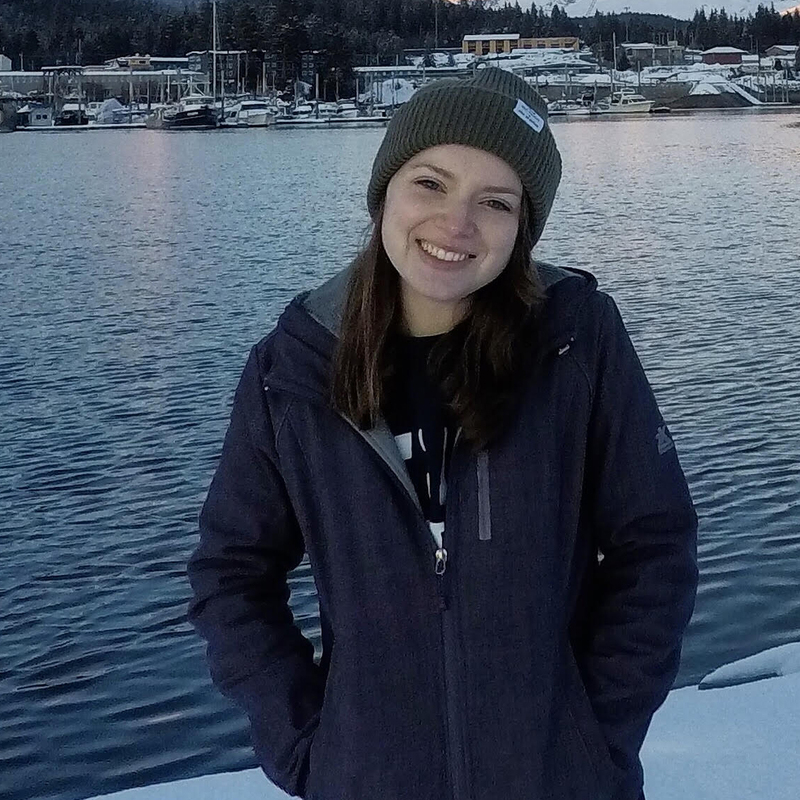 She completed a year on exchange at the University of Alaska - Southeast in Juneau, where she met and joined the APECS team for the 2018 summer field season on Prince of Wales Island. Sydney is studying how weather conditions impact sea otter prey choice, and is excited to expand her knowledge on sea otter foraging as well as learn many valuable field skills. Sarah Peele is an undergraduate student working towards a Bachelor of Science in Biological Sciences. She plans to use her degree to attend veterinary school at Washington State or Colorado State University. She has been a field research assistant for Sonia Ibarra and Ashley Bolwerk. Helping the APECS team conduct their research is supporting her in her endeavors to become a scientist. While working in her home community, she participated in weaving, learning about medicinal plants, and putting up customary and traditional foods. Sarah recognizes the equal importance of traditions and education to live a happy and healthy lifestyle. 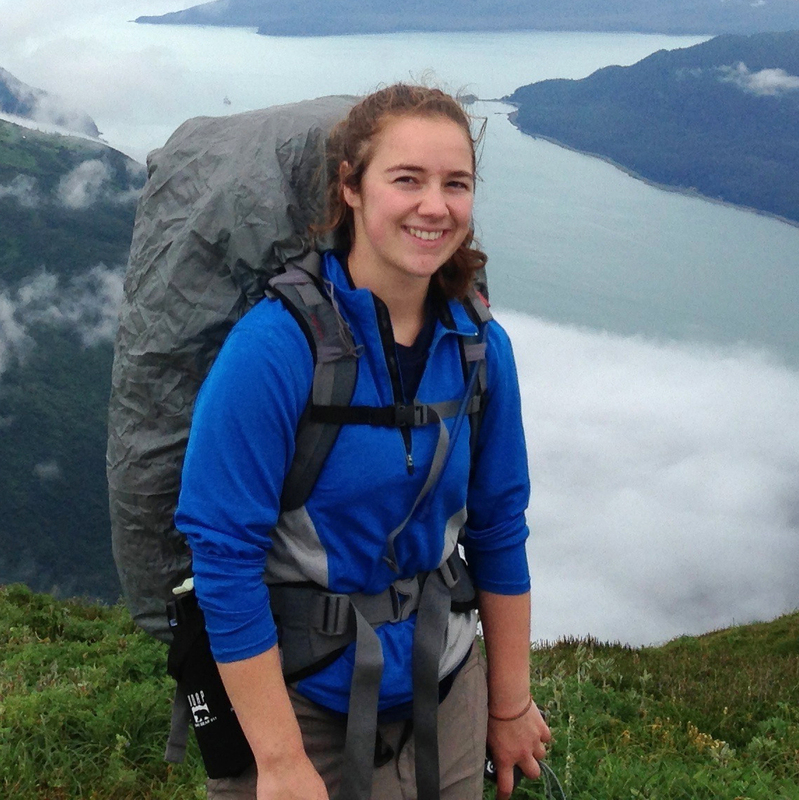 Maggie is a junior in the biology program at the University of Alaska Southeast. 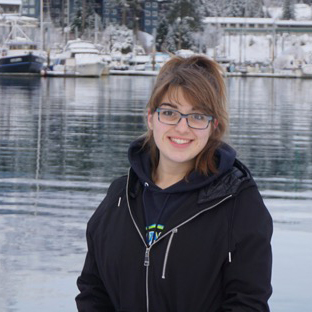 She is working on the project during the summer of 2018 to study the seagrass ecosystem on the west coast of Prince of Wales Island. This is Maggie’s first field research project and she is excited about all the new learning experiences the summer will bring. 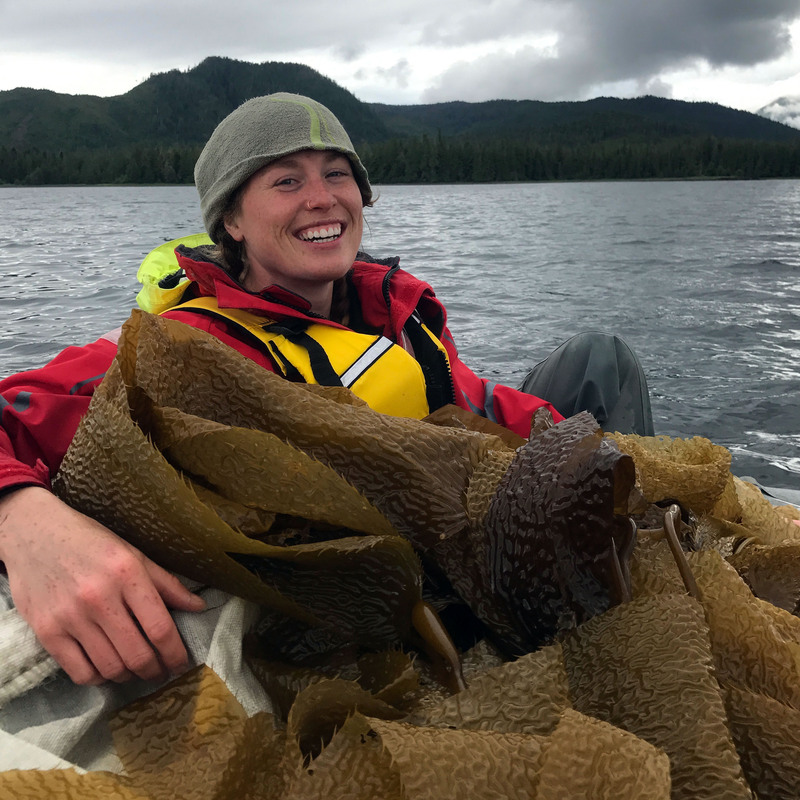 Maggie enjoys many aspects of the APECS project especially identifying animals, working on boats, and exploring new locations in Southeast Alaska. 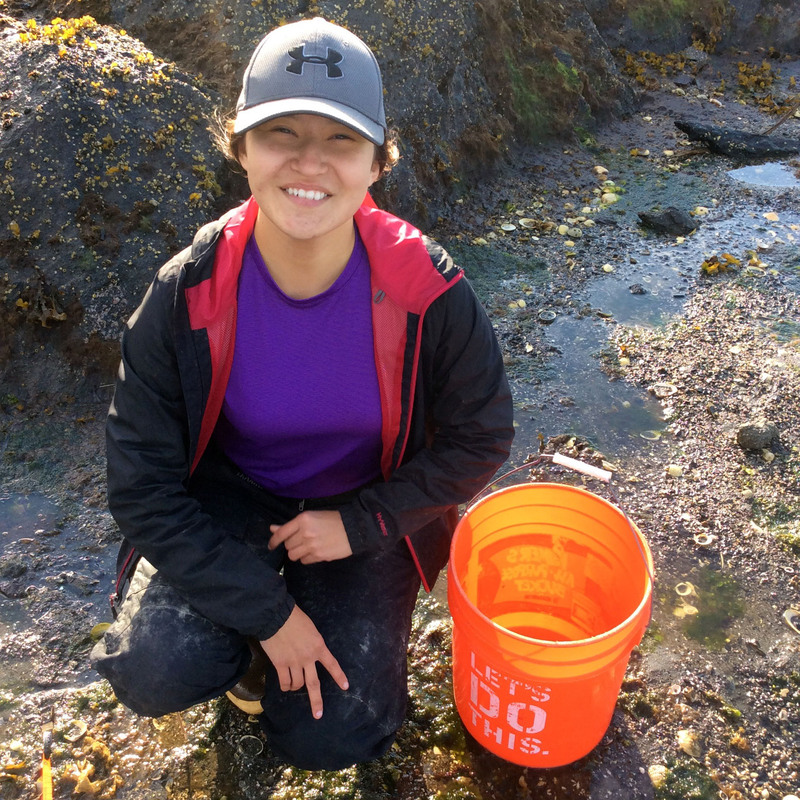 Lia was raised playing in Southeast Alaska’s intertidal and that ultimately informed her decision to study marine biology and international development studies at Dalhousie University in Nova Scotia. On the APECS team, she serves as the coordinator between EarthWatch volunteers and the APECS research team. She will also be assisting with the fieldwork, including helping implement an experiment investigating the trophic cascade between eelgrass and sea otters. She is excited about the interdisciplinary nature and wide scope of the APECS project and looks forward to being on Prince of Wales. We have amazing volunteers from around the world visit SE Alaska to help with our research. Thank you, everyone! For more information, follow this link. 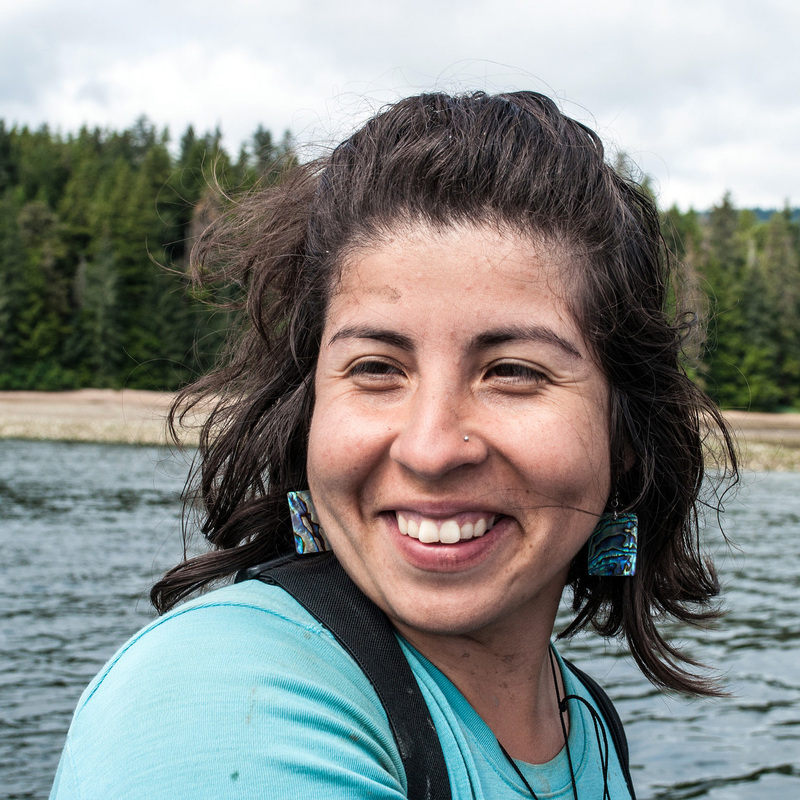 Shawaan grew up in Kake, AK and assisted Ph.D. student Sonia Ibarra with her research investigating interactions between sea otter, clams, and human subsistence harvest. His interest is to help protect a vital subsistence food that more than half of his village depends on for food and nutrition. He provides a traditional harvest point-of-view for the team, where he and his community have witnessed the influence the sea otters can have on shellfishes. Cathy recently graduated from the University of Alaska Southeast. 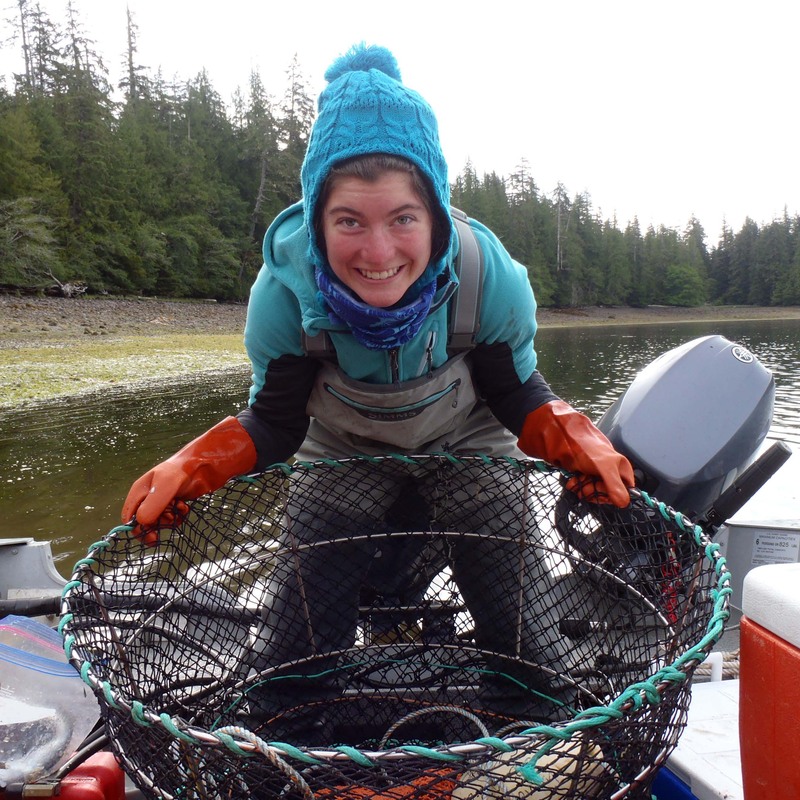 She worked on the project during the summer of 2016 on pilot studies in the seagrass ecosystem on the west coast of Prince of Wales Island. 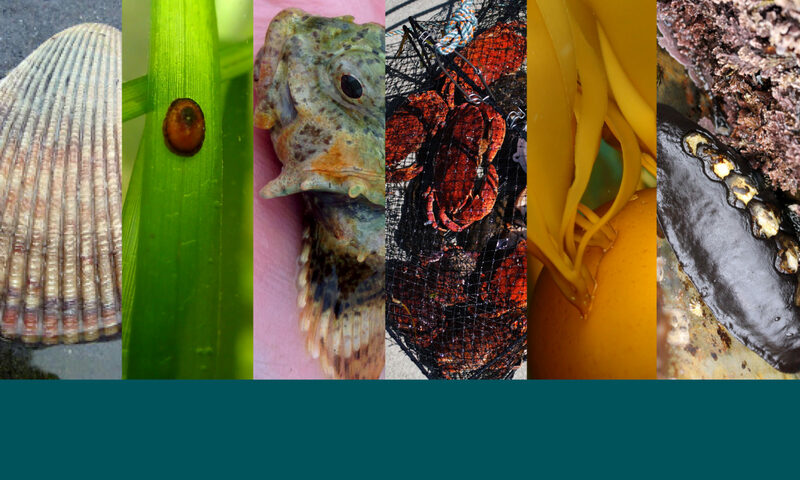 She then spent the winter gaining experience identifying invertebrate grazers on eelgrass and analyzing sediment cores. In 2017, she surveys seagrass, beach seines nearshore areas, and collects sediment cores for carbon sequestration assessment to determine if sea otters play a role in carbon sequestration in seagrass beds. She loves every aspect of this project; each day brings a new learning experience. In particular, she enjoys small boat operations, playing in the dirt, identifying fish, and snorkeling in the eelgrass, as each site is different.